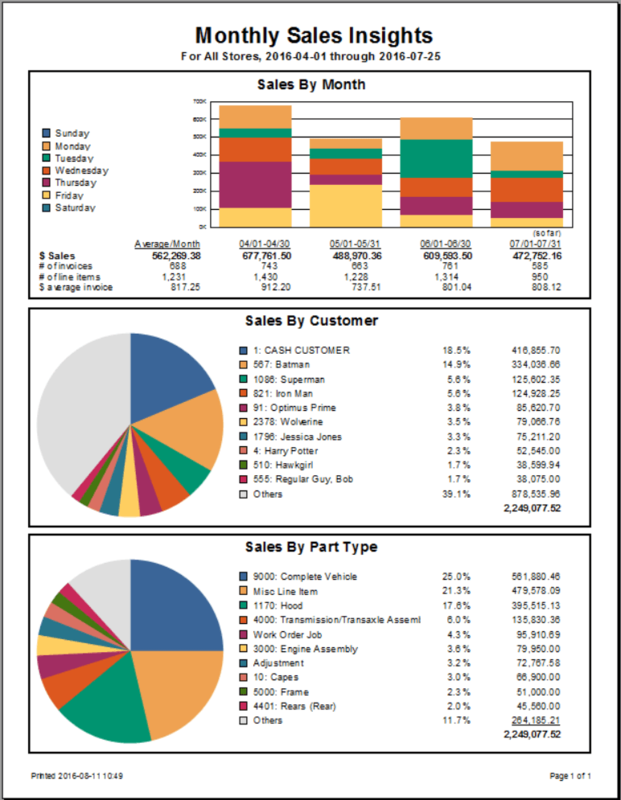 Coming soon to both ITrack Pro and ITrack Enterprise, the Weekly Sales Insights report is getting some big functionality updates. The report will no longer be called “Weekly Sales Insights” in the Report Viewer; it will be called “Sales Insights,” and you will be able to use it to pull Weekly, Monthly, or Quarterly sales information. This is going to be a 3-in-1 report. There will still be a single date parameter that acts as the end date in the sales date range. The report will show sales information for that interval (week, month, quarter) + sales information from the previous 3 intervals. When pulling sales data for weekly intervals, it will no longer be a rolling week. A week is Sunday through Saturday. Additionally, the report will be able to be run historically based from the date selected, so make sure to select the end of the interval (week, month, quarter) to capture all of the sales information for that period.